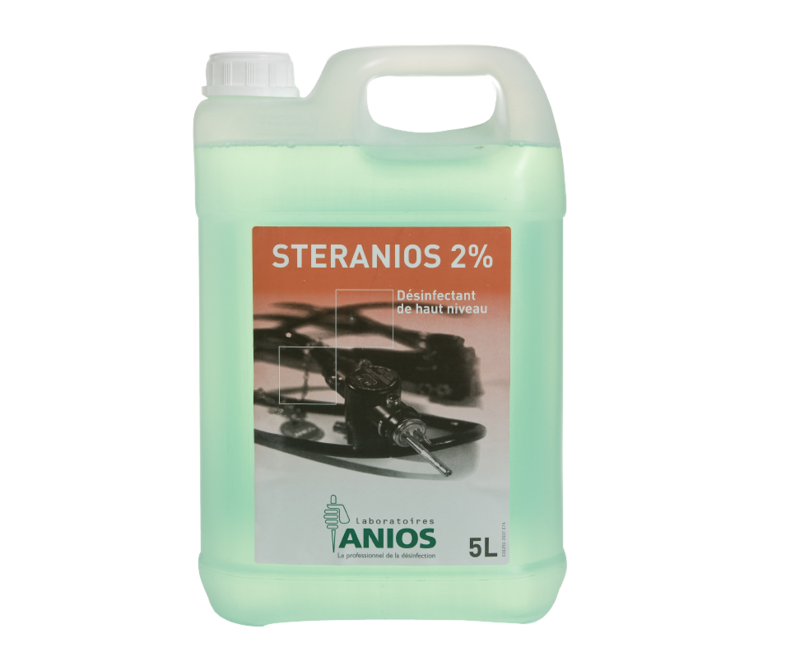 Anios patented formula is the first tri-enzymatic liquid detergent with disinfection properties. The Enzymatic liquid detergent is designed for the pre-disinfection of medico-surgical instrumentation, medical devic-es and endoscopic equipment. As well as the cleaning of ultrasonic bins and collecting of soiled instrumentation with no cross-contamination. 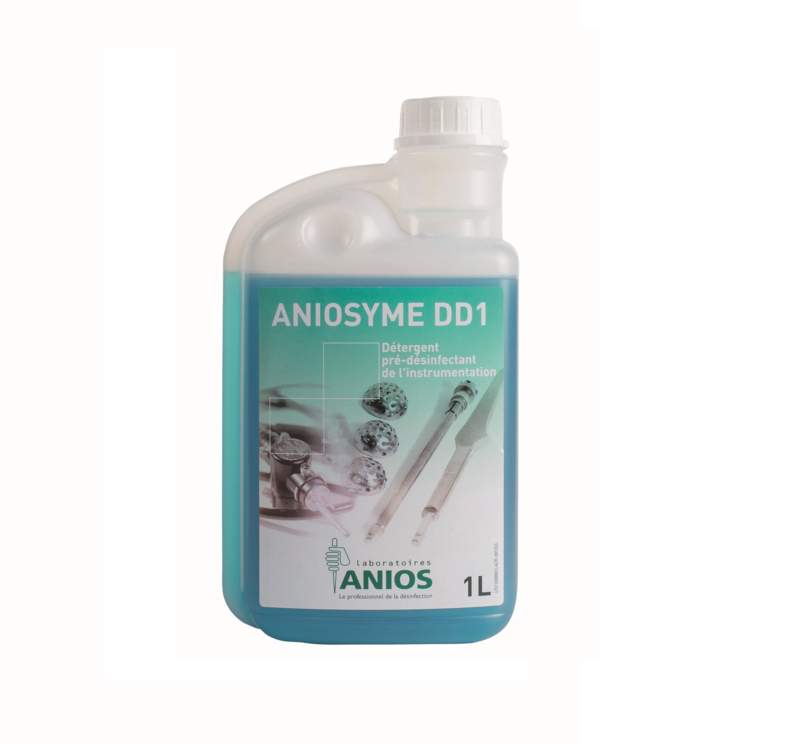 Anios portfolio of high level disinfectant ion/cold sterilization for medi-cal devices, medical and surgical equipment, heat-sensitive equipment and endoscopic equipment are ready to use solutions that do not re-quire an activator. The disinfectants are active against bacteria, yeast, moulds, viruses, and mycobacteria in 10 minutes and are active against bacteria spores in 1 hour providing 100% efficacy against spores of bacteria. The maximum duration of use for the soaking disinfectant is 30 days providing a cost effective solution. 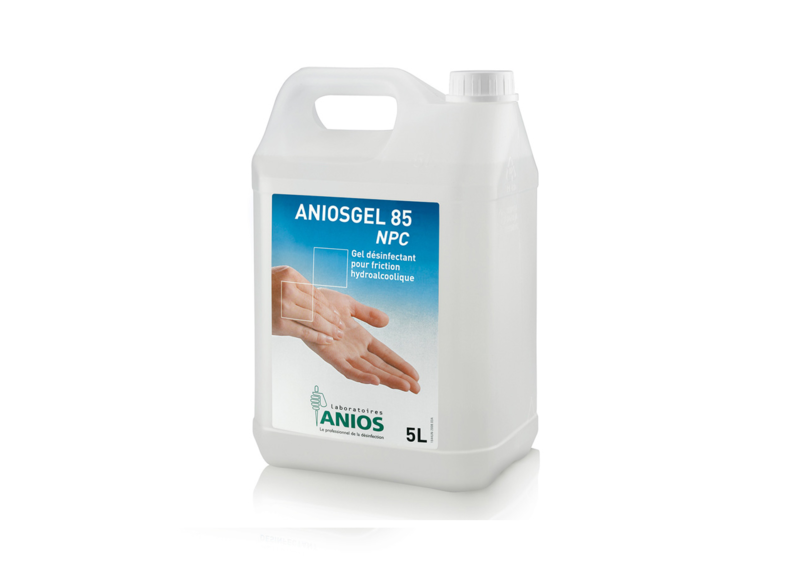 Anios provides effective antiseptic gel for hands that is gentle on skin while complying with CDC guidelines. 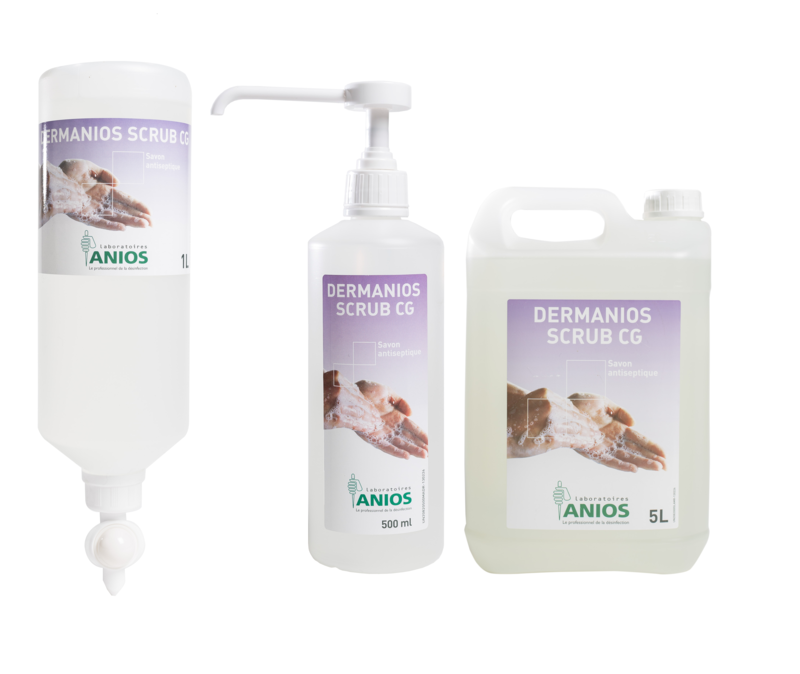 Anios disinfection gel Provides a wide antimicrobial spectrum that is active against bacteria, yeast, molds and viruses and is effective on skin in 30 seconds. 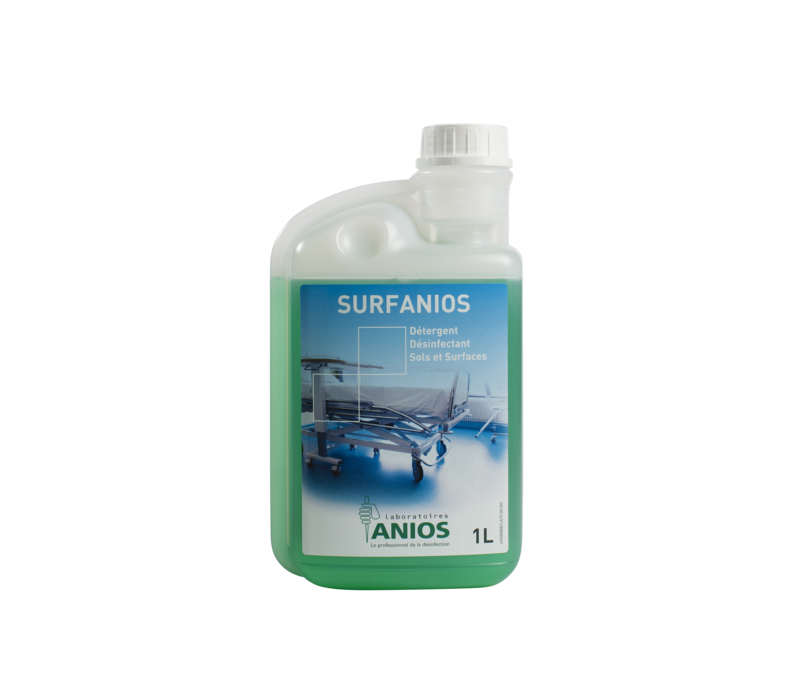 Anios offers cleaning and disinfection solutions for floors, walls, equip-ment, furniture and medical devices. Offering a twin action of deter-gent and disinfection simultaneously, the aldehyde free formulation is active against bacteria, mycobacteria molds yeasts and enveloped vi-ruses including Legionella pneumophila. 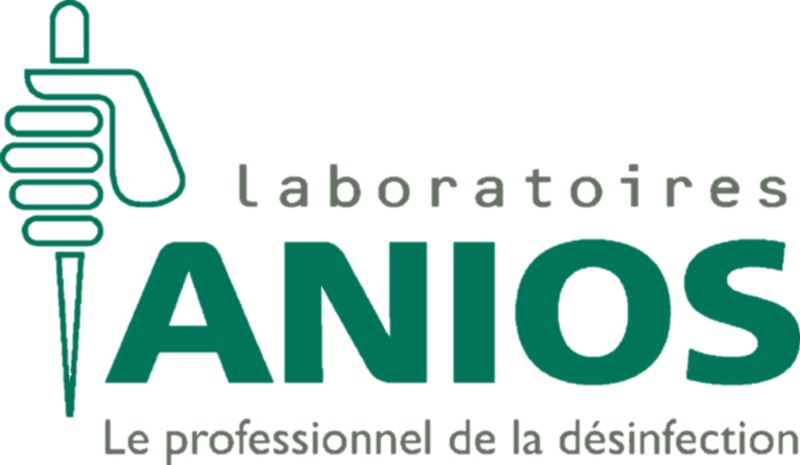 Anios provides Antiseptic soap for hygienic handwash and general body cleaning with a broad antimicrobial spectrum active against bac-teria, yeasts, moulds, and viruses. The pre-operative washing and dis-infection is ideal for surgery as it is effective against muti-drug re-sistant bacteria and MRSA.